1. Applicants shall be willing to abide by laws, regulations and rules of the PRC and Yunnan University, and respect social morality and customs of China. 2. Applicants shall have valid passports, and meet the "Foreign Students Health Inspection Standards" issued by the Chinese government. 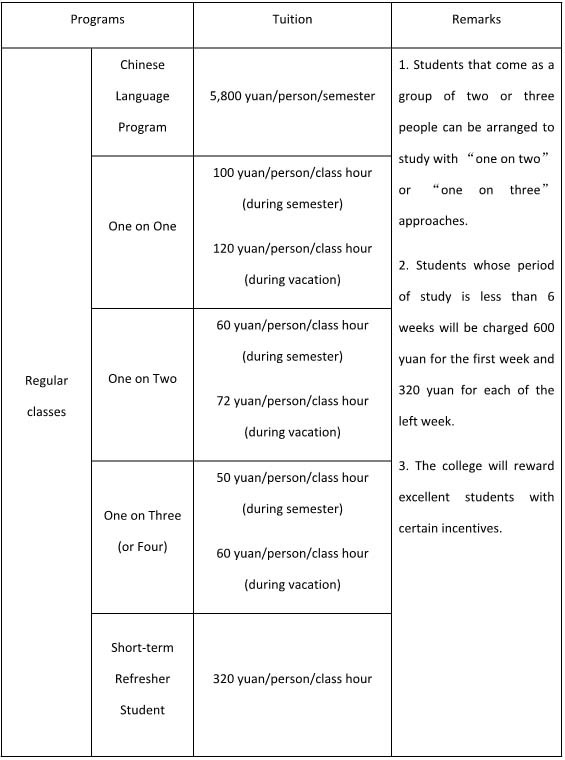 The College recruits students for long-term and short-term Chinese-training programs all year round, so the enrollment time is based on the students' needs. 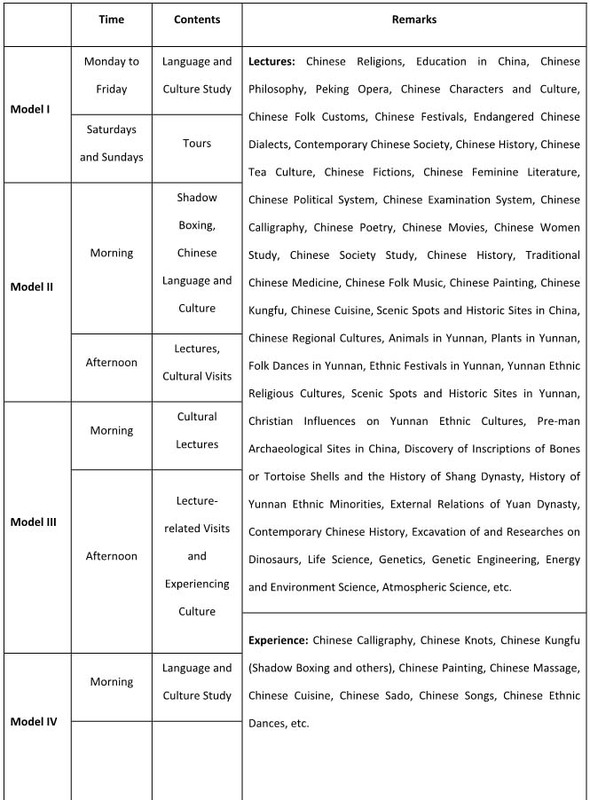 Students can register for regular courses of Chinese language and culture any time during the year. International students mainly register for the non-degree Chinese programs in spring (March 1—July 10) and autumn (Sept 1—Jan 10). 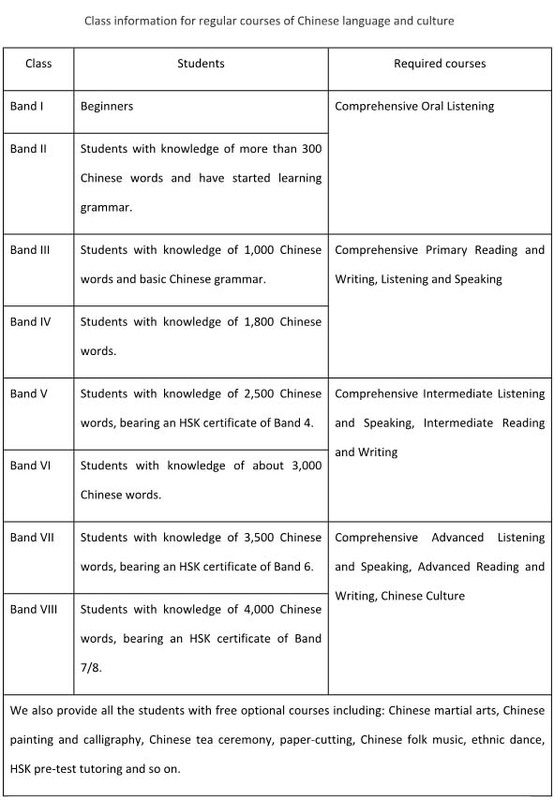 Based on the students’ Chinese proficiency, they can choose to attend the elementary courses, intermediate courses or advanced courses. Students with special interests may choose to study with “one on one” (one teacher teaches one student) or “one on two” (one teacher teaches two students) approaches. College of International Students offers short-term group Chinese training courses and summer (winter) camps of Yunnan ethnic culture study for college students and high school students from all over the world, making it ideal for those who are unable to participate in the semester or year-long programs. 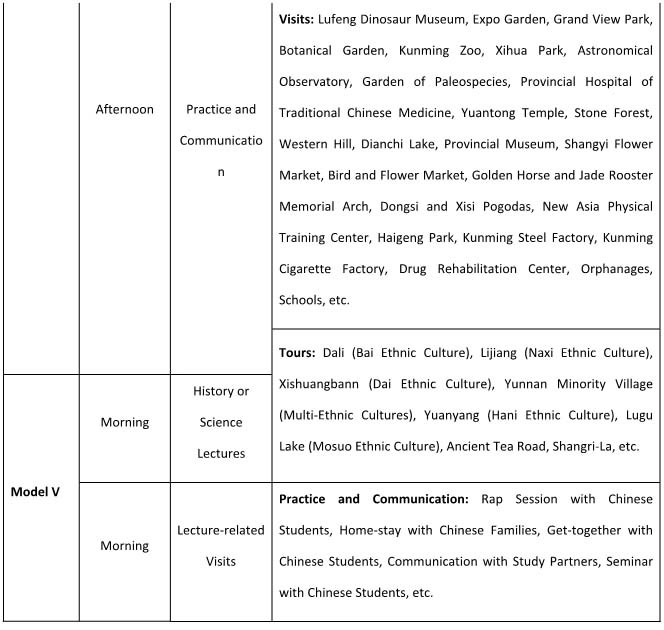 Short-term group Chinese training courses can be organized at any time upon requirement. The length of schooling for short-term training courses is negotiable by the students or by the partner institutions. The number of students enrolling in the above-mentioned courses and camps shall be no less than five. 1. 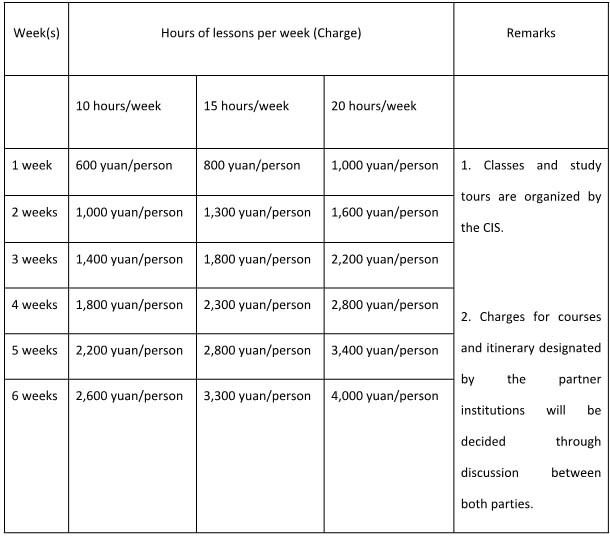 Registration fees (only newcomers are required to pay): 320 yuan per person. (1) Applicants can ask for the Application Form for International Students to Yunnan University by writing, e-mailing, faxing or calling us, or download it at our website (http:// www.cis.ynu.edu.cn). (2) The filled-out form and the scan of applicant’s passport shall be e-mailed to CIS mailbox（cisynu@ynu.edu.cn）. (3) The CIS will e-mail the applicants the Admission Notice. The applicants can apply for an “L” visa (for 30 to 90 days) and will have to register at the CIS within the 1st week they arrived in China. And then the college will help them change their visas and get a “Residence Permit”. (2) The filled-out form shall be faxed (mailed or e-mailed) to the CIS and the registration fee shall be wired to CIS two months prior to the beginning of the school term. It is required to fill out the form (by hand or computer) clearly and completely. (3) Upon receiving the above items, the CIS will mail the applicants the Admission Notice and Visa Application Form for Foreign Students to China (JW202). (4) The applicants forward the Admission Notice to the Chinese Embassy or Consulate General in their native land to apply, with the JW202 form, for “X” or “F” visa for entry into China to study. And the applicants will have to register at the CIS within the 1st week they arrived in China. (5) Or applicants can apply for a Tourist Visa (“L” Visa) to come to Kunming. After the applicants arrive in Kunming and register at the college, the college will help them change their visas and get a “Residence Permit”.